A statue of the Indian independence leader Mahatma Gandhi will be unveiled in London’s Parliament Square in March. The bronze statue will stand alongside those of Winston Churchill, Abraham Lincoln and Nelson Mandela opposite the Houses of Parliament. The sculpture by Philip Jackson that depicts Gandhi with his hands clasped, wearing a shawl and traditional dhoti skirt, will be revealed on March 14. Prime Minister David Cameron said: “Mahatma Gandhi is an inspiration. His approach of non-violence will resonate forever as a positive legacy – not just for the UK and India, but the world over. “He was a man of great insight and many of his observations remain as fresh and relevant today as when he first made them – timeless advice, well worth following. Funds for the statue, which is said to be modeled after photographs of Ghandi outside 10 Downing Street in 1931, were raised by the Gandhi Statue Memorial Trust and its chairman Lord Desai. The announcement came as donations to the Gandhi Statue Memorial Trust passed £1 million. Lord Desai said: “Generous donors have contributed sums from a pound up to hundreds of thousands of pounds from the UK, India and around the world. Gandhi studied for a law degree in London before leading a non-violent resistance movement against British rule in India. 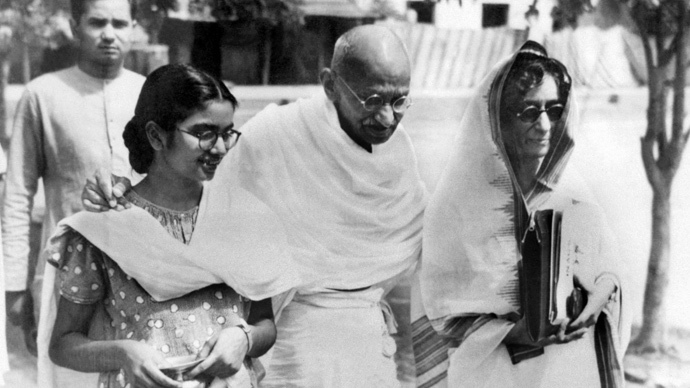 Months after India achieved independence, he was assassinated by a Hindu extremist in January 1948. Chancellor George Osborne and Leader of the House of Commons William Hague announced plans for the memorial in July last year, when they visited the site of Gandhi's assassination in New Delhi.